It’s Not just for Our Parents Anymore! “Yes and no” was my reply to a friend as we discussed what’s new at MemoryMinders. She’s known and been aware of MemoryMinders from its conception, so I was surprised by her question. It was then I realized, maybe not everyone knows how many people can benefit from memory wellness. 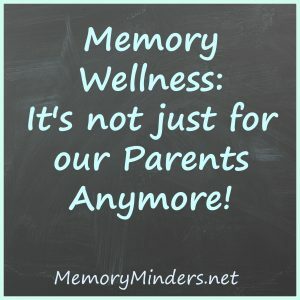 Memory wellness-it’s not just for our parents anymore! The Middle-aged Mom juggling her kids, parents, work and home responsibilities who can’t remember everything like she wants. The Senior Executive who wants to keep up with the younger associates he’s mentoring. The Retiree who wants to stay mentally sharp and engaged to age well in retirement. The Person just diagnosed with an early-stage memory disorder (Alzheimer’s, Parkinson’s or Vascular dementia, Mild Cognitive Impairment etc.) who wants tools and strategies to maintain their independence for as long as possible. Have you noticed changes in your memory or those of a loved one? What’s your or their reaction? Is it to deny, disregard, chalk it up to busyness, old age or ‘senior moments’? None of these responses helps or benefits anyone, most especially the one who can use some assistance in moving towards memory wellness. MemoryMinders Wellness Services was designed to assist all of the above people through our various programs and services. For the busy mom or executive, we can offer tailored presentations or one on one coaching to implement memory habit changes. For the retiree or person with beginning brain degenerative changes, one of our group programs may be just what they need to maintain or maximize their memory and quality of life. One of our newest services is our Academy Mental Fitness Subscription. This weekly email-based service provides memory tips, two levels of mental fitness activities and the latest in memory wellness. Join in September and receive 25% off your first month! See our Academy page for further details. 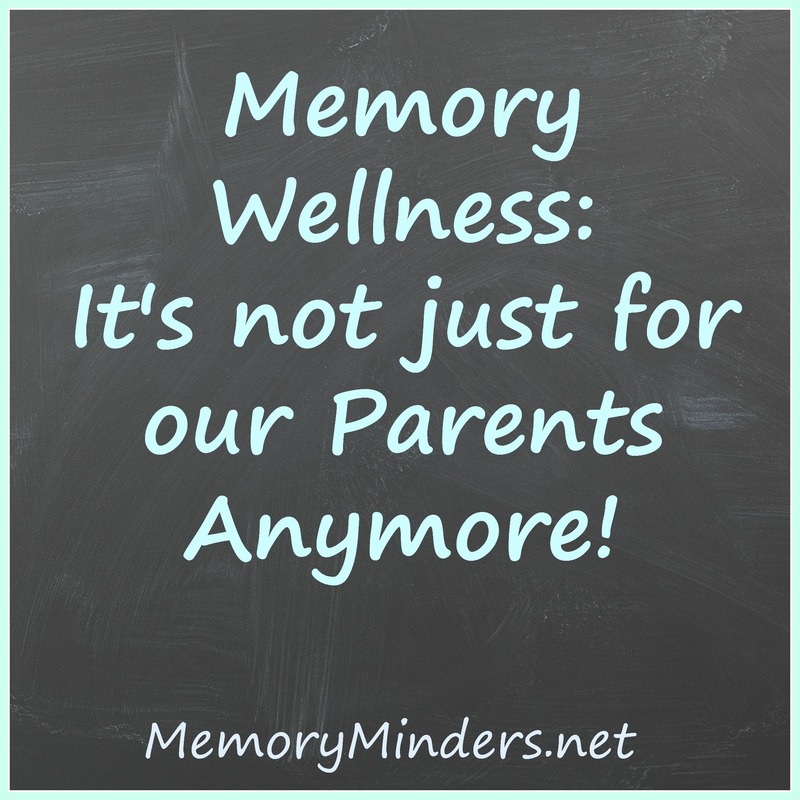 If you think memory wellness is just for your parents-think again! It’s for anyone age 40-100 who wants to engage their mind and memory with a proactive approach towards wellness. Please contact me for more information if so desired. Just remember, your memory is your identity so let’s keep it growing strong!